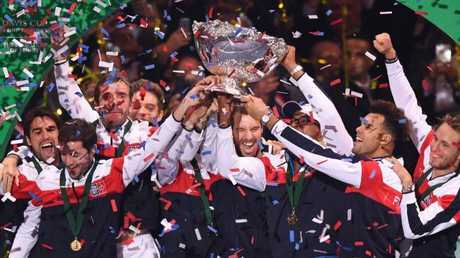 Roger Federer has aired concerns about the Davis Cup reforms. WHILE unsure of the wisdom of last week's sweeping Davis Cup reform, Roger Federer has called on tennis officials to make good on promises regarding the new-look competition. "I feel sad about it, you know, not to have the Davis Cup as it used to be. 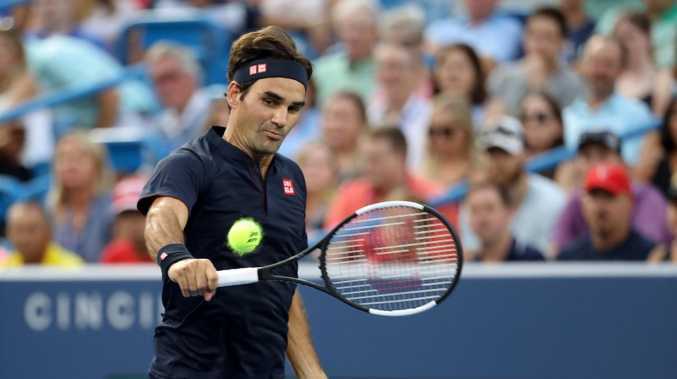 It will never be the same for the next generation," the 20-time Grand Slam winner said on Saturday at the ATP-WTA Cincinnati Masters. Kosmos, an investment group led by Barcelona football star Gerard Pique with Japanese and Chinese support, will spend $3 billion over 25 years on the new event, which will do away with four rounds at home-and-away venues around the world throughout the year, culminating with the final between the last two teams standing. France celebrate winning the 2017 Davis Cup. Novak Djokovic has concerns but said change was needed. Fellow former No.1 Novak Djokovic, a member of the 2010 winning Serbia side, shared many of the same Davis Cup sentiments with his Swiss rival but said something had to be done. "Very few top players have played consistently in the Davis Cup competition, which was, till recently, the only team, official team competition we have in our sport."